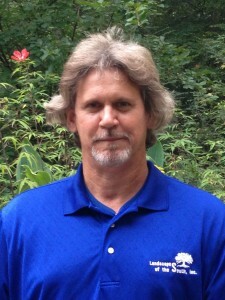 Meet Chris Williams, owner of Landscapes of the South, Canton, Ga.
Who is your mentor? There were two folks who helped me in my career. Doug Davis was the owner of the prior business that I worked for. Another fellow, Jim Lanier, worked there for a number of years as the vice president. Doug taught me the business of taking care of our customers by meeting or exceeding their expectations. Jim taught me how to be smart about the landscape contracting business. Both of these folks were instrumental in furthering my career and business. What sparked your interest in the Green Industry at such a young age? There was a horticulture program in high school, which is really where I got my start. My senior year I was also involved with Future Farmers of America and they had a work-release program as part of an internship. I worked at a greenhouse for six months my senior year. It was called Garden Valley. It’s now long gone. There’s actually a church where it used to be. What are some obstacles or restrictions you face as a landscape business owner in Georgia? Our biggest obstacle the past two years has been water restrictions. Certainly they’ve gotten better, and especially this year because we’ve had more rain. The biggest thing is trying to adjust your business to fit what you’re able to do: Use plants that are more drought-tolerant; use irrigation that is more conservation conscious; try to plant or install things correctly; and use technologies available that help manage your ability to water. What are some of the most notable changes you’ve observed in the industry over the years? As I’ve learned more, I realize it isn’t just going out and mowing grass. There’s a business side to it. You see all kinds of changes with water restrictions and regulations, meaning what types of fertilizers and things like that you can use, planting techniques, etc. It used to be you couldn’t buy plants if they weren’t pre-dug in the winter in dormancy. Now you can dig all year-round. Your season is extended with planting. How has your involvement in the Irrigation Association and the Georgia Green Industry Association advanced your career? They’re different from any other kind of business associations because it’s more geared toward your industry. With networking you’re able to grow your business in ways you normally wouldn’t get to. Back to restrictions and regulations, by being involved in those and having a voice in the industry, you’re able to approach your local representatives, folks in the state capital and even on the national level to try to work through issues that affect your ability to have a business and to operate as you need to. What sports teams do you back? University of Alabama. Are you a big concertgoer? I like music a lot. I saw Peter Frampton and B.B. King in mid-August. How many concerts do you attend per year? Probably more than I should. I maybe go see six or eight a year. Where is your hometown? The Metro Atlanta area, that’s mostly where I’ve been all my life. What do you do to relax when you have some downtime? I like competition shooting.